Ever wanted to see at a glance the distribution of your data across different axes? It happens often to me, and R allows to build a nice plot composition – This is my latest concoction. 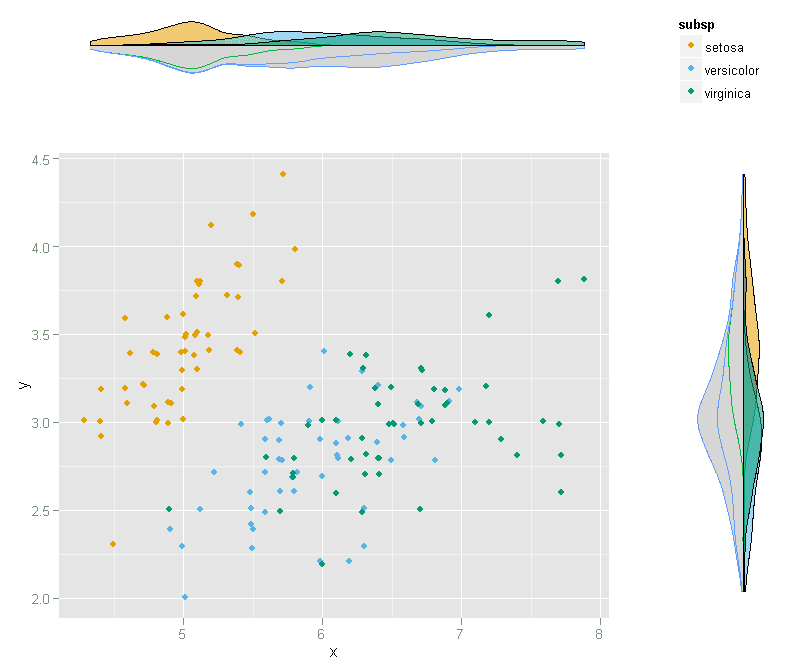 I used ggplot2 here, but equivalent graphics can be made using either base graphics, or lattice. The set is the usual ‘iris’, the central plot has petal length and width along the X/Y axes – I used a customised color palette so as to be friendlier to color-blind people. On the left and at the top of the main plot, the density distribution of the whole set (grey) and by subspecies.